On June 6, 2006, Larry was elected Superintendent of Fresno County Schools and took office on August 2, 2006. Prior to his election, Larry was the Deputy Superintendent of Educational Services for the Fresno County Office of Education. From 2001 to 2005, Larry was the Superintendent of the Central Unified School District, one of the fastest growing districts in California. Under his leadership, Central Unified rapidly became one of the districts of choice by families moving to the Fresno area. He has held numerous administrative jobs both at the district level and at the site level. Larry has taught many different classes over the years and loved inspiring students. He is very active in community and civic groups as well as many professional organizations. Larry is on many non-profit boards and serves as a Member of the Board of Trustees for Fresno Pacific University where he also taught as a member of the Adjunct Graduate Faculty. In the past, he has served as a member of the State Board for the Association of California School Administrators. 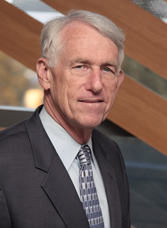 He is on numerous advisory boards for California State University, Fresno. He has won many awards including the 2003 Superintendent of the Year for the Association of California Administrators—Region 9 which includes Mariposa, Merced, Madera, and Fresno Counties. One of his favorite awards came from California State University, Fresno where he was named “Top Dog” as an Outstanding Alumni of the University. Larry is in great demand and has presented over 1400 speeches and seminars up and down the San Joaquin Valley, the State of California, and throughout the United States at various school districts, Honor Societies, civic groups, association conventions, service clubs, conferences, Universities, and churches. Struck with Polio at the age of 15 months in 1949, Larry is an inspiration to everyone he meets. He was a champion wrestler and coach, an avid golfer with a 7+ handicap, a swimmer and gymnast. His bench press record is 320 pounds when he weighed only 129 pounds. He holds high school records for rope climb (20 foot rope in 1.8 seconds) and pull-ups (44). He strongly believes that the only things you cannot do are the things you do not attempt. Hard work and determination lead to success. His wife, Dot, is the Executive Director of SALTFresno (a non-profit agency which provides mentoring services to students, teachers, and administrators) and READFresno (a non-profit providing literacy skills). Most people have never seen Larry without a smile. Larry has made equity and access a hallmark of his career and works to provide equal opportunity to everyone. In addition to being Fresno County Superintendent, Larry is a minister, motivational speaker, singer, and songwriter. His favorite past-times include: Family, Church, Golf, Music, and YoYos. Larry is affectionately referred to as Reverend Superintendent by his colleagues. Deborah A. "Debbie" Poochigian is a lifelong resident of Fresno County where her family has farmed for four generations. 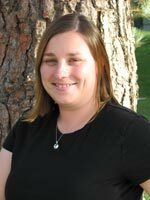 She graduated from Fresno State where she received her bachelor's degree, two teaching credentials, and competed in collegiate tennis. She taught physical education and coached at the middle school level before focusing on raising her family. Debbie has worked as a volunteer for numerous civic and charitable causes. She is involved in the family farm and has provided consulting services to many organizations. Debbie served as a member of the boards of a major medical center and Fresno Area Crime Stoppers. She is actively involved in Neighborhood Watch, and is a member of the Clovis Chamber of Commerce and Fresno County Farm Bureau. Her father was former Fresno County Supervisor Deran Koligian. Debbie has been married to her husband Chuck for over 33 years. They have three grown children, two wonderful daughters-in-law and three grandchildren. Her interests are centered on her church, family, public service, camping and sports. Debbie is honored to represent the residents of District 5 which encompasses the Eastern portions of Fresno County. 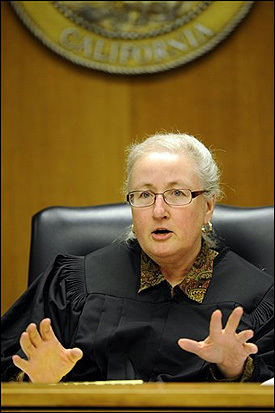 Dale Ikeda is a judge on the Superior Court of Fresno County in California. 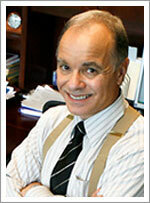 William A. Covino became Provost and Vice President for Academic Affairs on July 6, 2009. The Provost is the university’s chief academic officer, providing leadership for the University’s eight schools and colleges, grants and research, the library, continuing and global education, and other academic units of the university. The Provost coordinates and implements academic goals, educational policy, curricular planning and development, academic program review, academic personnel actions, faculty and staff development, resource development and allocation, assessment of student learning, professional and regional accreditation, and strategic and master academic planning. 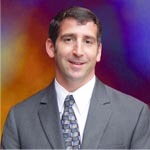 Covino’s administrative priorities and accomplishments have included developing and expanding distinctive academic programs; building greater support for applied scholarly research; improving student learning outcomes; increasing the diversity of faculty, staff and administrators; increasing fundraising and partnership opportunities; and encouraging community engagement across the curriculum. Provost Covino came to California State University, Fresno after serving as Provost at California State University, Stanislaus, and as Dean of the College of Arts and Letters at Florida Atlantic University. He has also held faculty positions at the University of Illinois at Chicago and San Diego State University. His undergraduate and graduate teaching has included courses on rhetoric and literature, and his scholarly record features numerous chapters, articles, and reviews, as well as five books on rhetoric, literacy, imagination, and persuasion. Provost Covino received a Ph.D. in English from the University of Southern California in 1981. Larry Westerlund was born and raised in Fresno. He is the son of a third generation business owner of Westerlund Box Company, a box manufacturing company that served local farmers. As a young man, Larry was encouraged by his parents Richard and Judy Westerlund to become involved in school and community organizations — a philosophy that Larry has continued into adulthood. His exposure to and experience with leadership, administration, and teamwork have helped mold Larry’s vision as a local elected official. While earning his bachelor’s degree in political science at California State Polytechnic University, San Luis Obispo, Larry served as Chief of Staff for the ASI president and was a three-year governor of the University Union. In addition to Dean’s List recognition for academic excellence, Larry was named Outstanding Military Science Student with the University’s Army ROTC unit. After graduation, Larry was accepted into the U.S. Navy’s Officer Candidate School, graduating with a commission as an Ensign in November 1988. Larry subsequently served two years aboard the destroyer U.S.S. Mahlon S. Tisdale (FFG-27) as a First Division Officer, supervising shipboard aviation operations and a division of 30 personnel. After his time on active duty, Larry enrolled in the University of Pacific’s McGeorge School of Law. He earned his Juris Doctorate in May 1994; his law school studies were supplemented with post-graduate work in international law at Cambridge University in England. 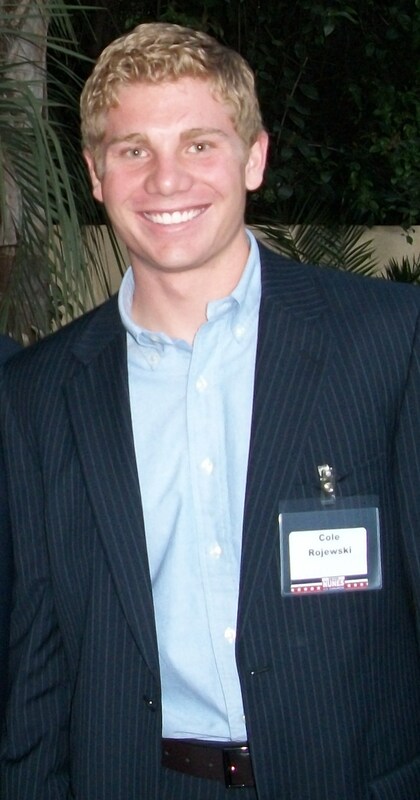 He passed the California State Bar exam on his first seating. Larry’s legal career began in 1995 with the Tulare County District Attorney’s office where he prosecuted both misdemeanor and felony cases, including 11 jury trials for “25-to-Life” crimes with an outstanding conviction rate. In April 1998, Larry was recalled back to active duty as a Lieutenant in the Navy in Bosnia-Herzegovina, conducting a major study of force structure in support of Operation Joint Guard/Forge. After his service in Bosnia, Larry resumed his legal career in private practice, working for a law firm in Fresno. There he represented small business clients in a variety of litigation matters. 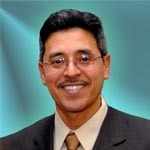 In 2004, after being frustrated with “the political games” and “politics as usual” Larry announced his candidacy and challenged the incumbent Council President for the Fresno City Council, District 4 seat. Against all odds and being out spent by his opponent, Larry Westerlund was easily elected in the primary election. Larry was sworn in as Councilmember for District Four on January 4, 2005. Since then Larry has worked tirelessly getting things done to improve the lives of citizens of the San Joaquin Valley. He has also served as the chair of the Redevelopment Agency (RDA), Fresno County Transportation Authority (FCTA), Mayor Council Economic Development Task Force (MCEDTF), the Veteran’s Home Foundation Committee and established the first Fresno standing subcommittee to oversee Financial and Audit matters for the City of Fresno. Larry married Dora Rivera in December 2007. Two months later, Larry was ordered to return to active duty with the U.S. Navy in support of Operation Enduring Freedom. As a Lieutenant Commander, Larry served as manager of the counter-terrorism train and equip program for the Joint Special Operations Task Force for the Trans-Sahara. Where he worked with special operation forces targeting terrorist and terrorist activities in the Sahara Desert. For his meritorious service, he was awarded his second Defense Commendation Medal. While Larry was back on active duty and serving the country, the people of District Four reelected Larry to his second term as council member in June 2008. While Larry was serving overseas, he and his wife, Dora, welcomed their beautiful baby girl, Zoe into the world in January 2009. Larry returned from active duty and resumed his council duties in April 2009. At that time Larry was also elected by his colleagues to serve as President of the Fresno City Council.